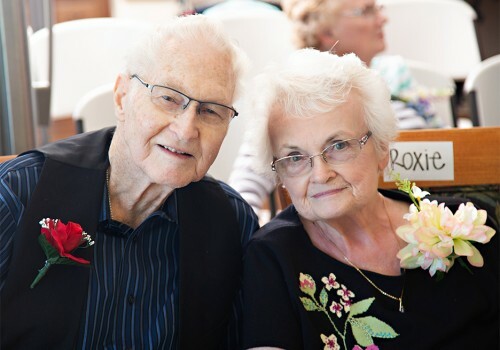 SpringBrook Community offers amenities designed to assist our residents in maintaining independence, freedom, companionship, and safety. These services are provided respectfully with attention to detail by our devoted, well-trained care team. Our goal is to promote vitality and a renewed engagement with life. 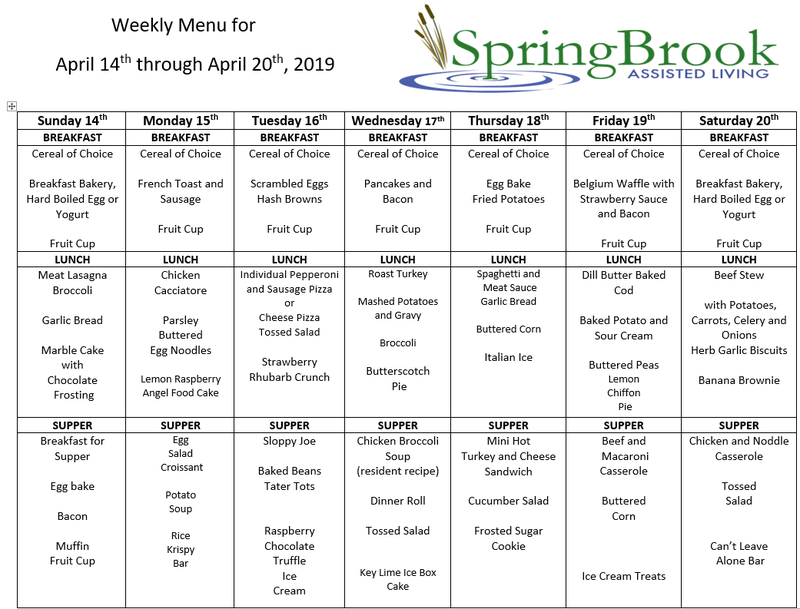 SpringBrook offers three chef-inspired meals daily. 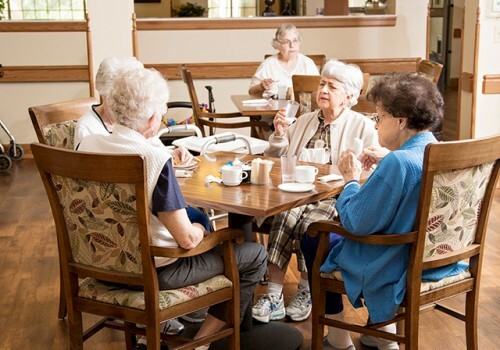 Meals are prepared in-house with care and served directly to our residents, allowing them time to relax and enjoy. Friends and family are welcome to join us for meals for a small fee and at least 24-hours notice. As you can see, there are many things to keep you busy at SpringBrook! You may participate in as many or as few activities as you like. See Moriah for more information. 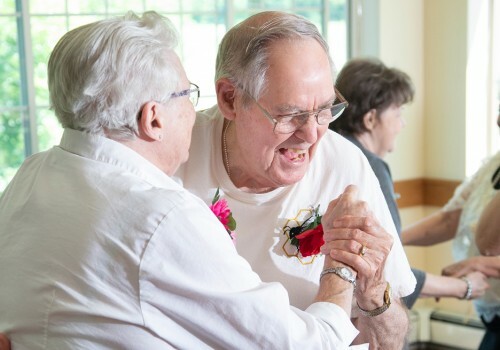 The Wellness Program is dedicated to maintaining the quality of life for SpringBrook residents. 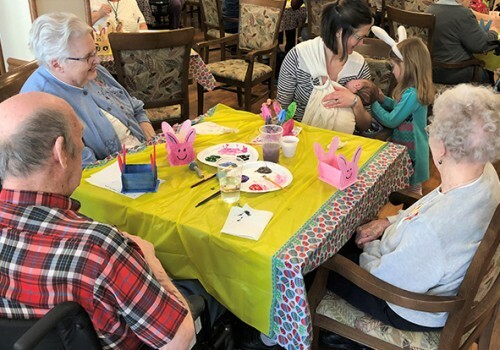 We focus on the physical, mental, emotional and spiritual welfare of the entire resident family. 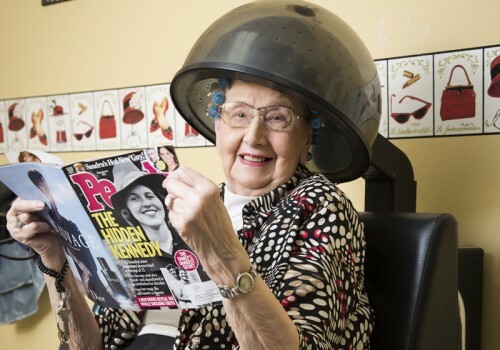 Our Salon offers a variety of services and is open one day each week. A resident may make their appointment through the receptionist. Salon services are not included in the cost of living package. SpringBrook residents are offered the opportunity to participate in group fitness classes multiple times per week. Classes are facilitated by UW-La Crosse OT and PT students. Not only is this a wonderful way to maintain strength and balance, but it’s also a terrific social event! Stationary bikes and Nu-Step machines are also available for residents to use independently. 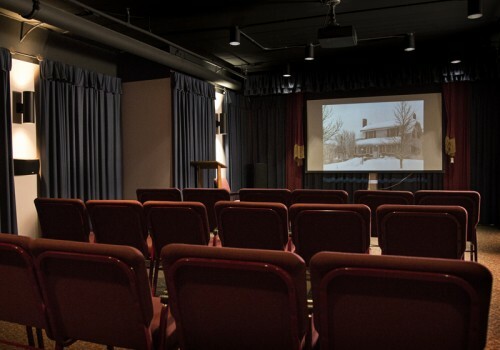 Our theater is equipped with a large screen and surround sound. Movies and documentaries can be enjoyed in comfort, complete with popcorn! This room also hosts various ecumenical services throughout the week. SpringBrook is proud to offer a therapy pool that is kept at 92 degrees. Group water aerobics is offered weekly. 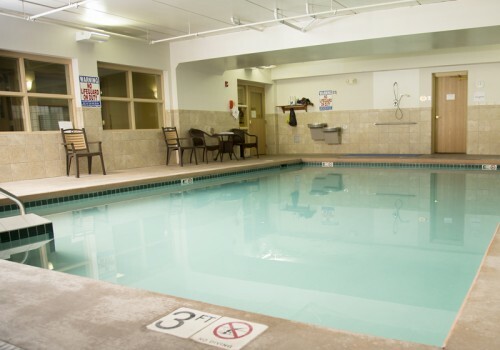 The surrounding community also enjoys the pool through the Warm Water Therapy Program. Please contact our Life Enrichment Coordinator at 608-793-5122 for more information on this program.